MILabs simultaneous sub-mm PET-SPECT provides highly quantitative images with unprecedented high and uniform resolution, even of several tracers imaged simultaneously. 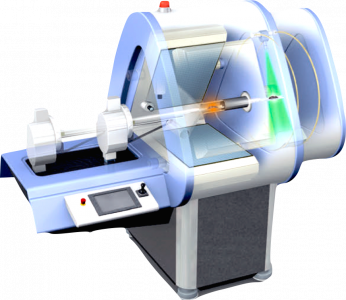 VECTor/CT (MILabs) is the only system that enables multi-isotope, simultaneous SPECT and PET imaging at high resolution (0.25 mm (SPECT), < 0.8 mm (PET)). The advantages of using VECTor includes the reduction of study times as well as decrease in the number of animals required for a study; most importantly, the SPECT and/or PET images are perfectly registered in space and time, providing instantaneous information about two distinct radiopharmaceuticals under the same physiological conditions. The MILabs VECTor/CT is a valuable tool in many areas of research with the powerful ability to visualize very small structures and small heterogeneous processes in tumors.